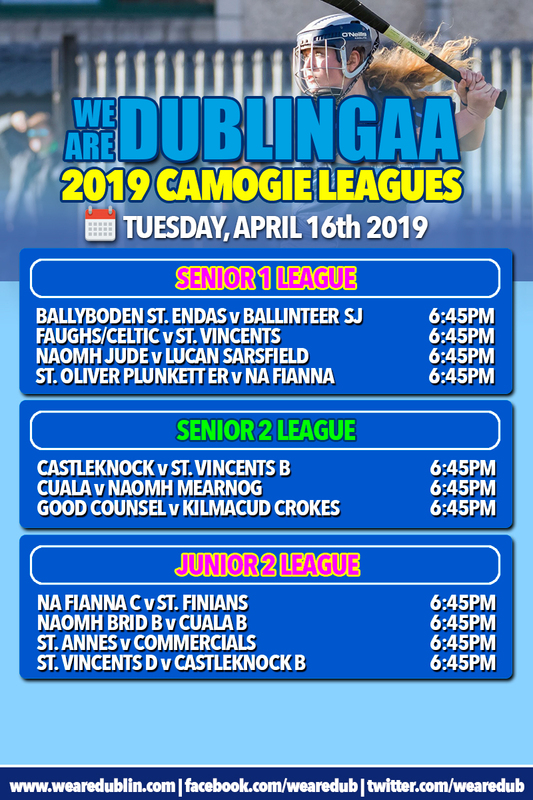 Another seventeen games will throw in tomorrow evening as the We Are Dublin Senior Camogie League rolls along. And we’re already into Round 4 of the Senior 1 competition. St. Vincents are top of the pile with three wins from three. They’ve already had comfortable wins over Skerries Harps, Ballinteer St. Johns and Lucan Sarsfields. And tomorrow night they make the trip to Faughs/Celtic looking for their fourth consecutive win. Faughs have lost their opening three games and will be desperate to get points on the board before it’s too late. Ballyboden St. Endas have successfully completed two wins from two, having had a bye in the opening round. And they’ll welcome Ballinteer St. John’s tomorrow night who are only a point behind them in the table following a 3-10 to 2-13 draw in Round 1 against Naomh Jude. They lost to Vincents in Round 2 but last week beat Skerries by a score to bounce back. Naomh Jude, who have three points from two games, face a struggling Lucan Sarsfield tomorrow night. Lucan have lost all three games so far, rebuilding their senior side. And like Faughs will not want to waste an opportunity to get some league points. St. Oliver Plunkett Eoghan Ruadh come into this off a bye and a Round 3 game rescheduled for next month, but they did register a 4-13 to 2-05 win in the opening round against Lucan. 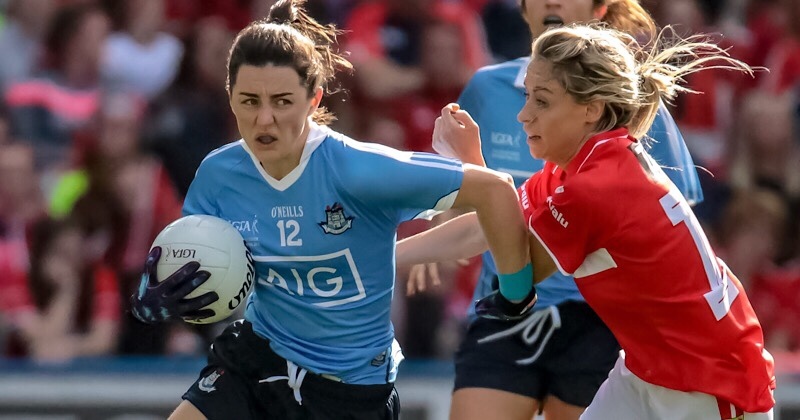 They’ll face a Na Fianna side who are two for two after victories over Faughs and Lucan. There’s vital points up for grabs here. 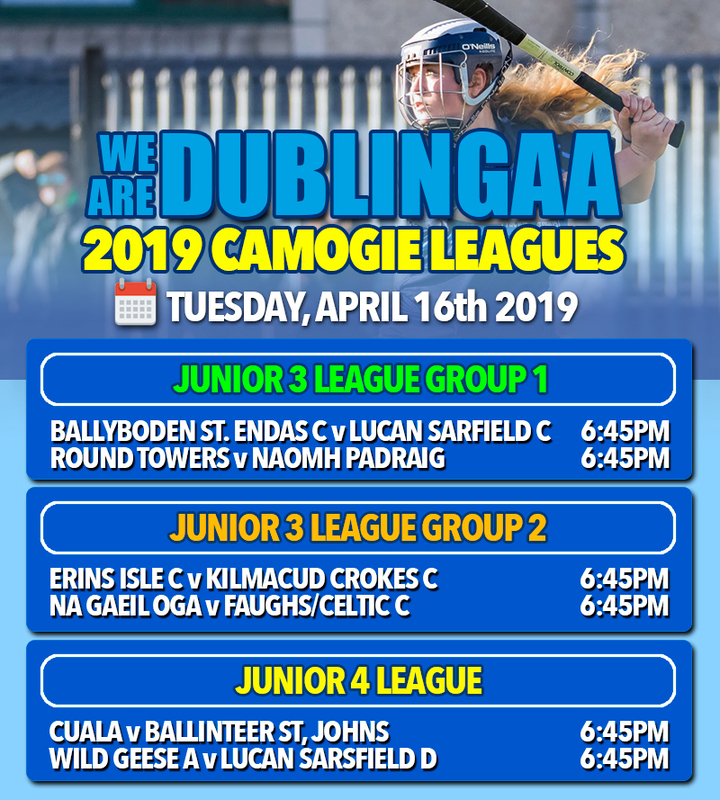 The second round of games throw in tomorrow in the Junior 2 League. Naomh Brid B, Cuala B, Castleknock B and St. Vincents D will all be looking for their second wins in the competition. Vincents face Castleknock, while Naomh Brid take on Cuala, so something has got to give at the top of the table. Elswhere Na Fianna’s C panel will face St. Finians and St. Anne’s take on Commercials, all looking for their first win to get them up and running. Ballyboden St. Endas C panel start their campaign with a home tie against Lucan Sarsfield C. Lucan held Round Towers scoreless in the opening round and will fancy their chances against Boden tomorrow night. Towers welcome Naomh Padraig, who lost to Naomh Peregrine in the opening round, with Peregrines on a bye. Table toppers Faughs/Celtic C and Na Gaeil Oga go head to head tomorrow. Faughs beat Kilmacud Crokes C convincingly in Round 1, while Oga were 4-06 to 3-02 winners over Setanta. Erins Isle get up and running against Kilmacud, with Setanta sitting this week out due to Naomh Barrog no longer participating in the competition. Lucan Sarsfield D and Na Fianna D both registered opening day wins, over Cuala and Wild Geese respectively. Wild Geese will welcome Lucan for their Round 2 game, with Na Fianna on their bye. Ballinteer start their Junior 4 campaign off with a trip to Cuala. All games are down for 6:45pm throw in times. Fixtures are all correct at time of this post, but maybe subject to change.